Godfather of movie apps for cinema fanatics & tv series addicts. Discover upcoming, trending & must see movies, tv shows & trailers. Get recommendations & suggestions from movie lovers from all over the world. Find any movie or TV show and post your sputtr. It can be anything! Your favourite scene, an actor’s performance or even the direction. Rack up likes and spark conversations with your friends. 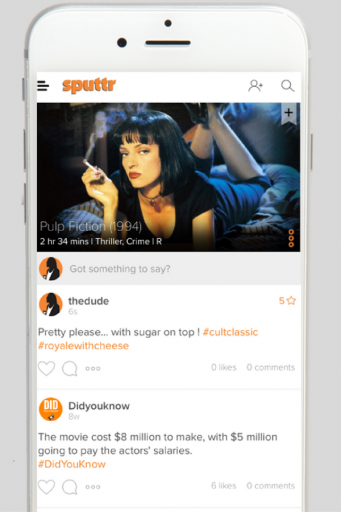 Get social on sputtr. Expand your friend circle and cinematic horizon by following movie lovers from all across the world. Explore on sputtr. You never know what you’ll find. 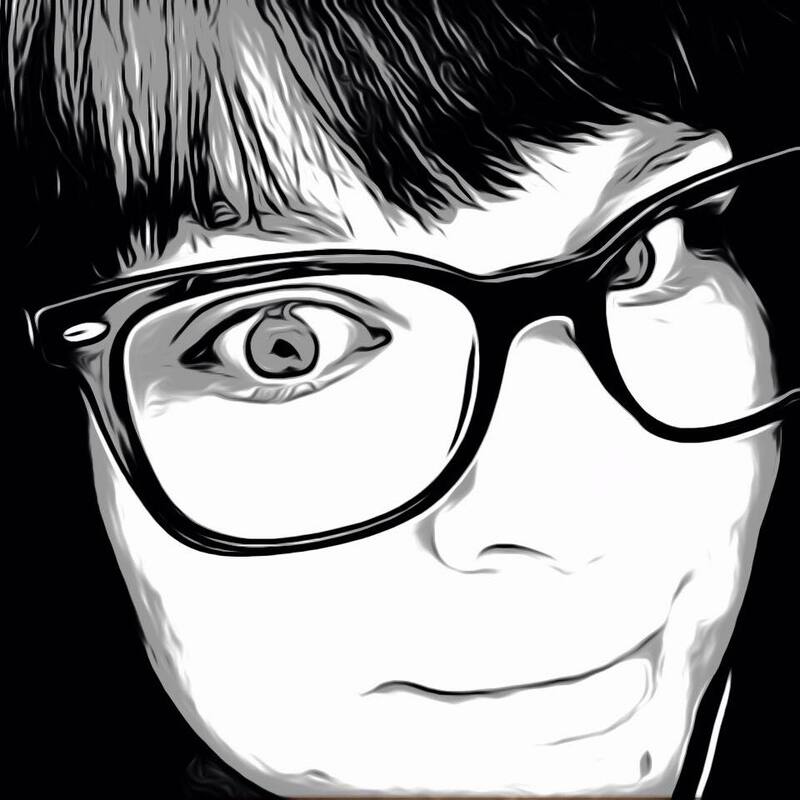 Discover movies/tv series by unique tags and personal recommendations. View trailers and get detailed information from Imdb and Rotten Tomatoes too! You can also add them to your watch-list. With us around you’ll always have something to watch! The most liked sputtr is displayed with the film for everyone to see. Will it be yours? Find out on sputtr. 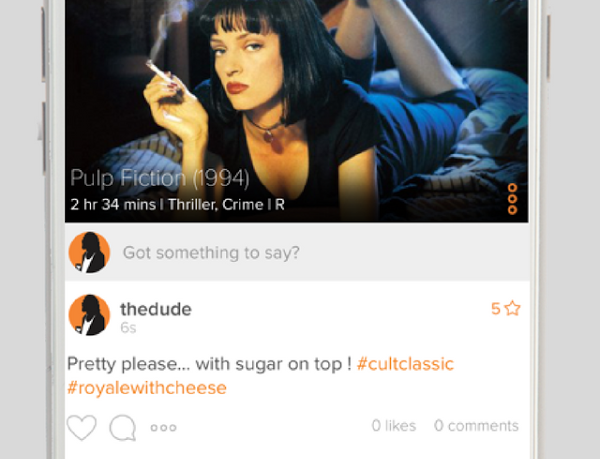 Sputtr is like a social media app for movie buffs. The app does require an account to get started, and offer email sign-up or you can use an existing Facebook or Google account to login. I usually default to Facebook, it just seems easier for me. Unfortunately, I did have some issues with the app finishing up the account and had to use the Google sign in instead, this could just be an account issue for me specifically but I’m not entirely sure. Google worked just as easily and then I was in. Now I am able to send invites to friends to join me on this new social movie platform. We can send each other recommendations and comment on movies and shows we love. My favorite section is the Trailers. I myself am a huge movie nerd and am always looking for recommendations. In the Trailers area, scroll through dozens of new and upcoming movie and TV trailers. Once you see one you like, you can tap on it to show its page. See ratings from IMDB, Metacritic, and The Movie Database. Browse through other Sputtr users’ comments and like or comment along with them, then add it to your watch list. Hit play to watch the trailer in the app’s browser on YouTube, conveniently never having to leave the app. The layout of Sputtr is easy to use and navigate. Most everything can be found on the left hand menu, including the profile page, trailers, and recommendations. The rest is familiar of any other social media app, where posts can be viewed, commented on, and liked. The format is clean and there are movie quotes on various pages which completes the simple orange and white themed design. I liked how organized everything is kept and I can easily access what I am looking for. Even better, the performance of the app is stellar. In most apps with so much media, there is usually some difficulty playing and loading videos, but Sputtr handles it all like a champ. For movie and TV buffs everywhere, Sputtr is there to discover and keep track of all your movie related activities. The app is available now on Google Play and in the App Store for free.